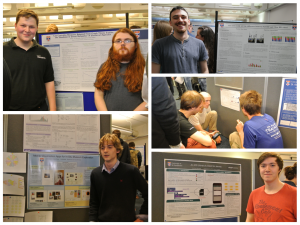 Our talented hard working SH students from CS4099: Major Software Project and CS4098: Minor Software Project presented their posters and final year software artifact to staff and students earlier this week. 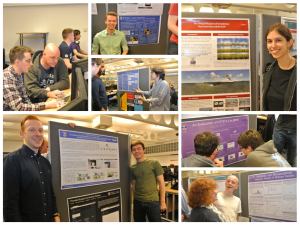 As Illustrated in the above collage, the busy poster session is the perfect opportunity to discuss output from their year long project with markers, and provides time to share research ideas and reflect on the experience with their peer group. 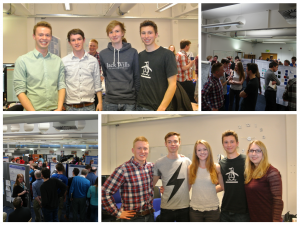 We wish them success with forthcoming exams and look forward to seeing them during June graduation celebrations. 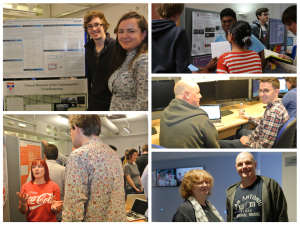 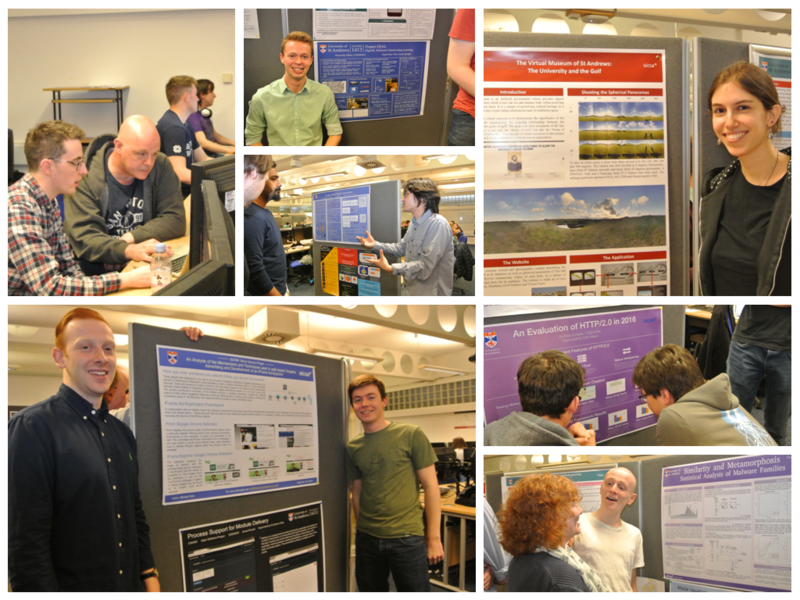 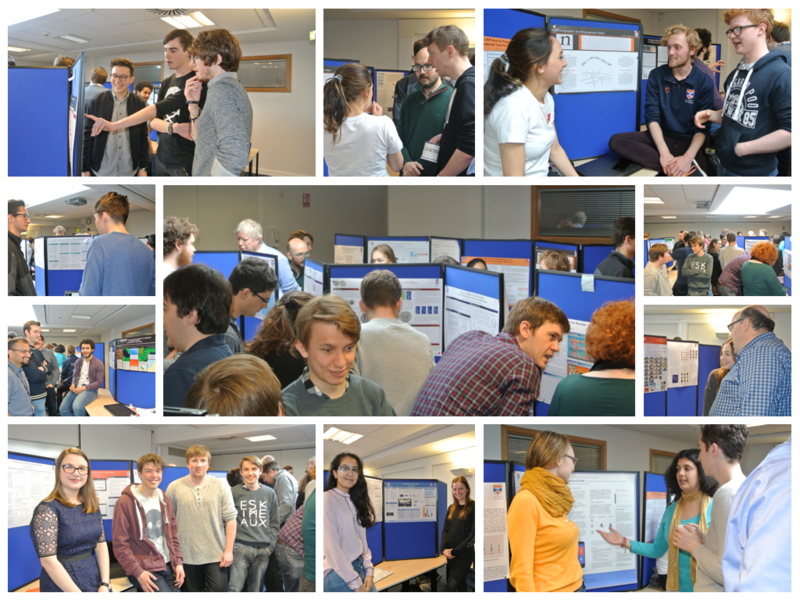 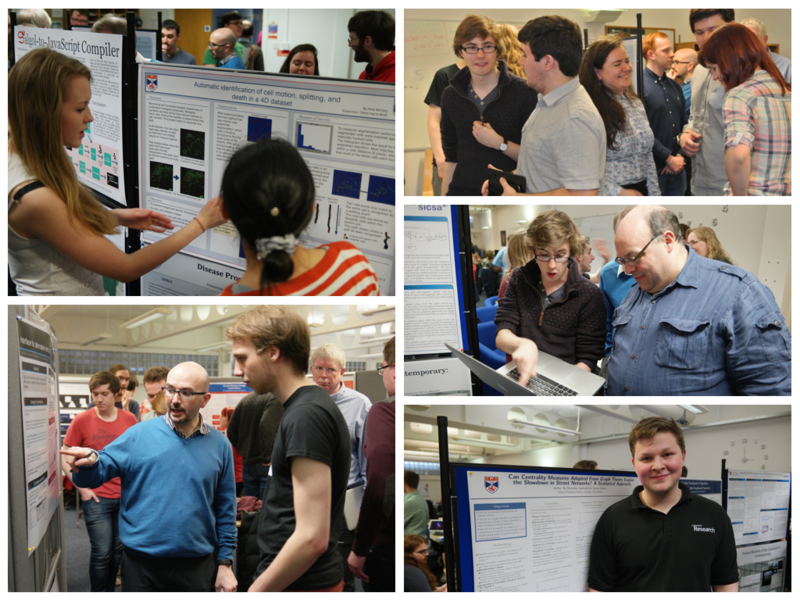 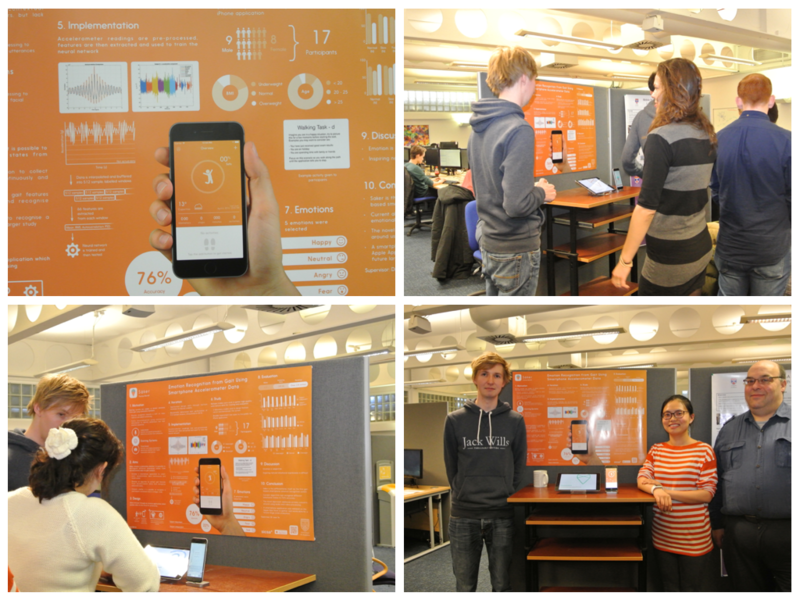 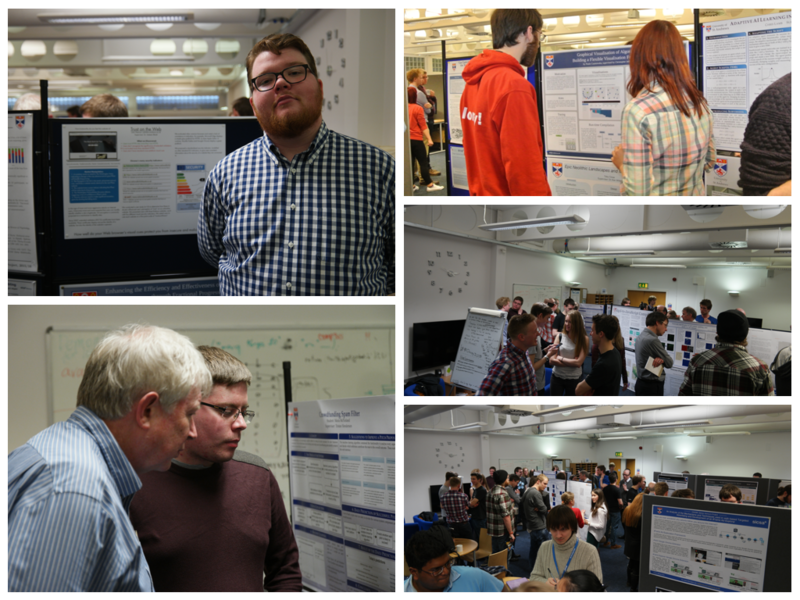 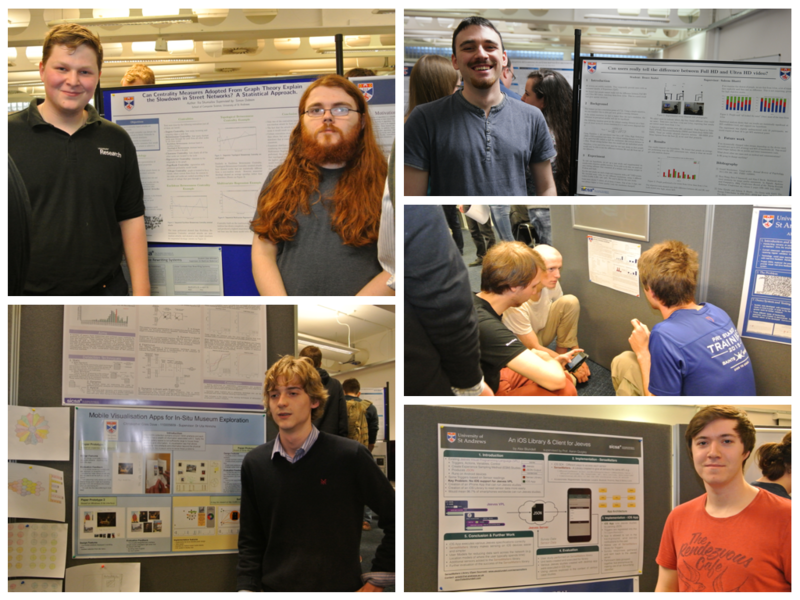 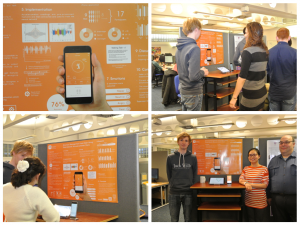 Our talented industrious senior honours students presented their posters and final year software artifacts to staff and students last week. 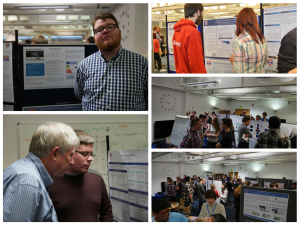 The best poster accolade and coveted amazon voucher was presented to Thomas Morrell for his poster – Emotion Recognition from Gait Using Smartphone Accelerometer Data, supervised by Erica . 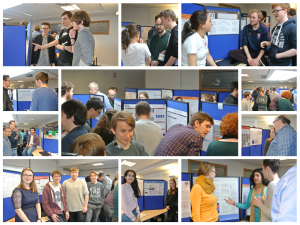 As Illustrated in the many pictures, the poster session is a perfect opportunity to share research ideas with their peer group. 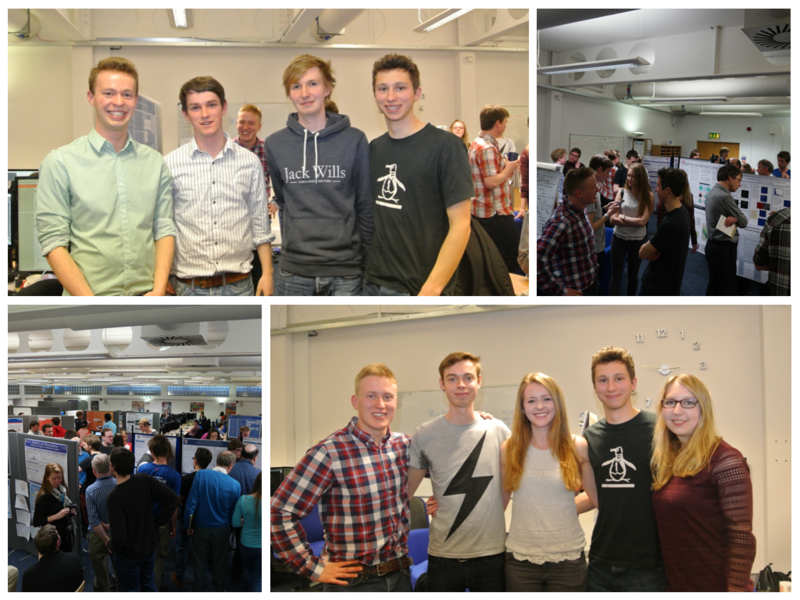 We wish them success with forthcoming exams and look forward to seeing them at June graduation.